Would you believe that just beneath the Toyota Motor Corporation headquarters in Toyota City, there are tea fields. Among them are some of the fields belonging to Ishikawa Tea Farm, the very first tea fields in Japan to earn Japanese JAS and American NOP organic certification. Standing in the fields, you can see the towering glass and concrete of the world’s largest automobile manufacturer. Tatsuki Ishikawa, the third generation in his family to farm the fields, originally planned to become a professional boxer. He still boxes as a second, but nowadays he spends most of his time taking over the farm work from his father. The first Ishikawa to come to Toyota, Tatsuki’s grandfather, arrived after the war aged just 19, to help create the first tea fields on what was then unused scrubland. Soon after, Toyota founded their headquarters nearby, and a freight railway was built right by the tea fields to carry parts and newly built motor cars. And so in 1978 his son, Tatsuo, was given the chance to take over a large area of un-cultivated land 650 meters high in the mountains to the east, in Shimoyama. At that time efficiency and mass production were the norm in Japanese agriculture, but with stubborn foresight, Tatsuo decided he would farm organically. After months of work clearing the mountain side of rocks, mostly by hand, and despite being told it would be impossible to farm tea at that altitude, Tatsuo stuck to his plan, and planted a new organic tea plantation, now known as the Ishikawa Shimoyama Tea Farm. They use no chemicals whatsoever, only crushed peanut husks, fish meal and natural fertilisers. They have JAS (Japan Agriculture Standard) organic accreditation from the Japan Organic and Natural Foods Association (JONAS), the Overseas Merchandise Inspection Company (OMIC), as well as the US National Organic Program (NOP). 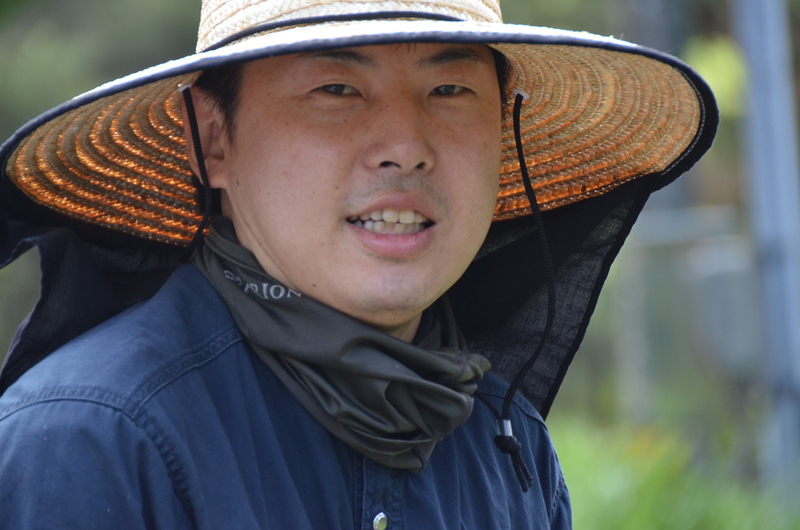 The Miso Tree talked to 3rd generation Tatsuki about tea farming, and his hopes for the future. The Miso Tree (MT): What made you decide to carry on the tea farm? Tatsuki (TI): After graduating in literature at university, I had a vague idea of becoming a pro boxer, but while I was helping out on the farm at that time I realised how fascinating the tea business is. Most people around here go into the automobile industry in some way or another, so up ’til then I thought farming was boring and old-fashioned, and had no intention of carrying on the family farm. MT: What do you think is so special about tea? TI: I guess it’s that tea is not only delicious, but it’s good for you too, beautiful to look at, and calming too. MT: What are the hardest parts, and best parts of farming tea? TI: Every year the weather and temperature is different, so we really have to work to care for the plants. 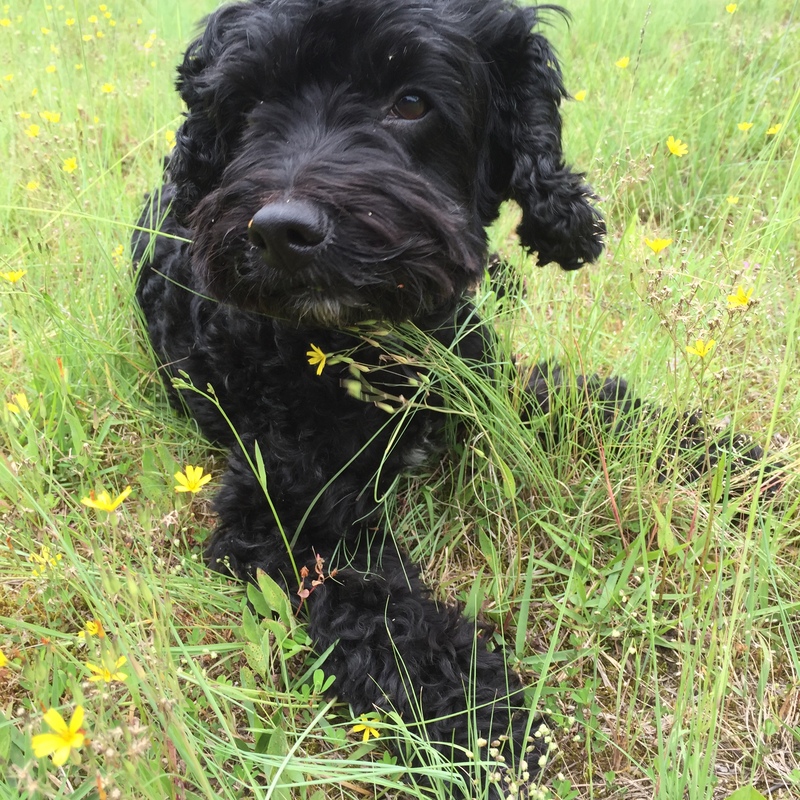 Farming organically means that keeping weeds and insects out is a back-breaking, never-ending job, but when people tell me how delicious our tea tastes, that keeps me going. 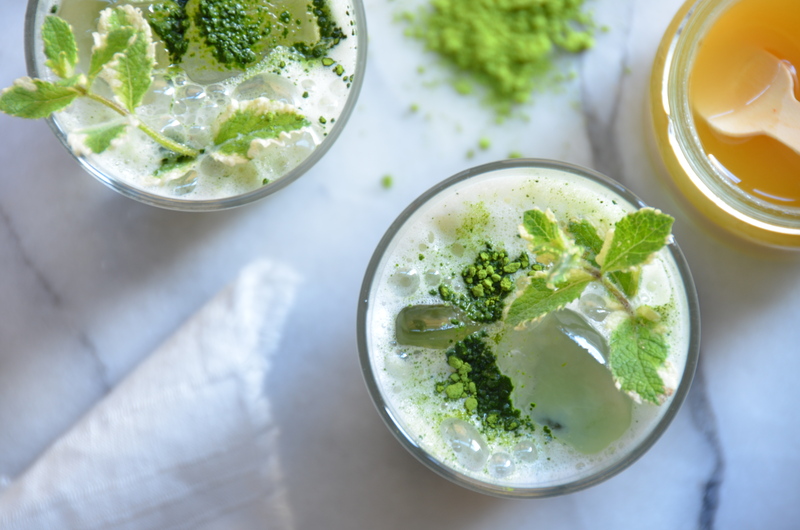 MT: What do you think about the potential for green tea and matcha overseas? TI: Organic tea grown in Japan has to weather the extreme temperatures through the seasons here, which makes for the very best green tea possible, and I think it is especially suited to the demands of the overseas market. MT: What are your dreams for the future? 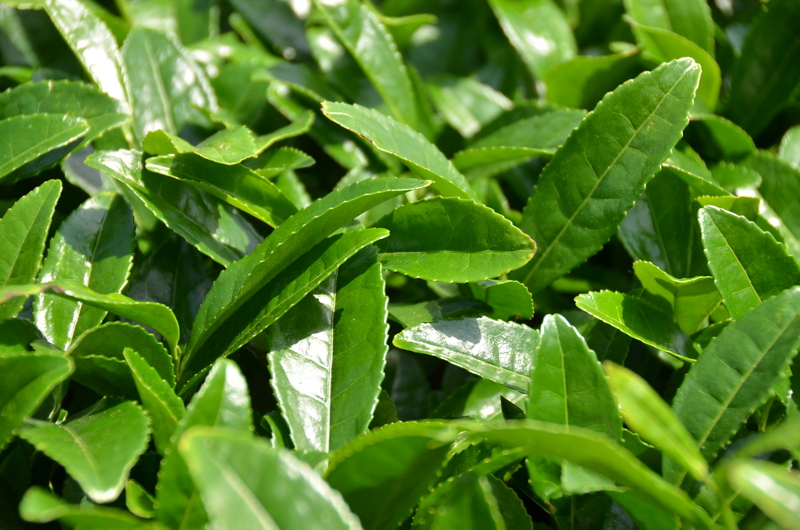 TI: My dream is to grow and produce tea that is given the highest accolades around the world! More simply, right now I want to make a shop where we can sell our tea directly ourselves. At the moment the only way we sell ourselves is when people come to the front door of the house. MT: Where can you buy Ishikawa Tea in Britain? TI: You can get it from Postcard Teas, in London. Nowadays, although ready-made tea in pet bottles is hugely popular in Japan, the amount of people who make tea in a teapot at home is rapidly going down. 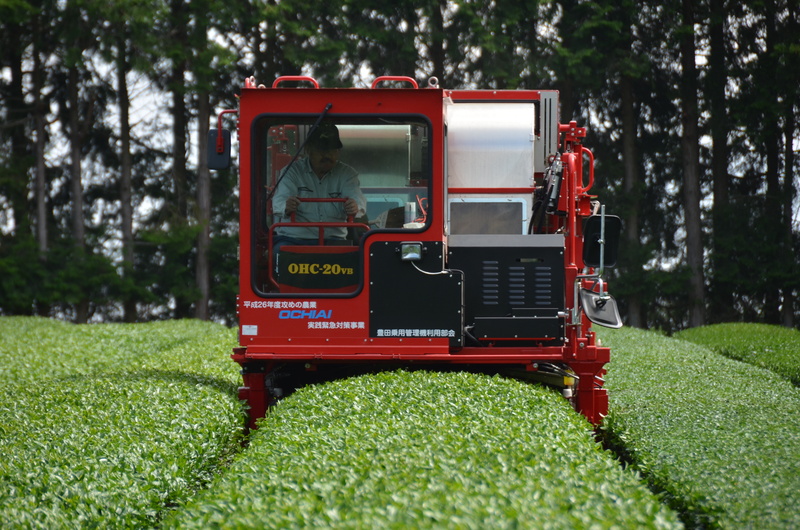 The reality is that nearly all of the tea produced at Ishikawa Tea Farm is sold overseas. The clear, fresh taste and sweet fragrance of Ishikawa tea stays in your mouth long after you have finished a delicious, freshly-made cup. Ironically though, although you can buy it in London, it is taste that most Japanese don’t know. They are slowly disappearing, but across Japan food vendors travel around in vans (they used to pull hand-carts!) selling hot sweet-potatoes (ishi yaki imo) in winter, and warabi mochi (sweet bracken starch dumplings) in the summer. The evening air would echo with their songs; “Ishi Ya~ki Imo~!” in the winter, and “Warabi~Mochi~” in the summer, each vendor with a slightly different variation on the song. 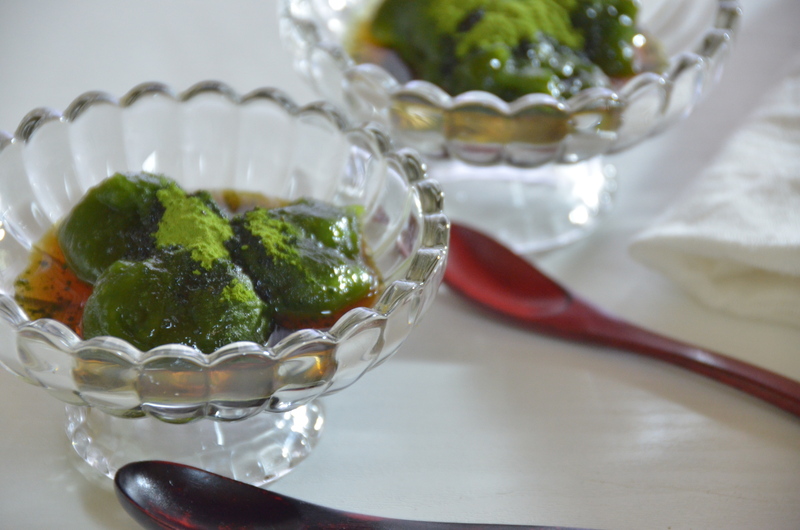 The taste of Japanese summer – matcha warabi mochi! Warabi is starch made from bracken. The real thing is extremely expensive, so nowadays in Japan you can buy a cheaper version made from sweet potato starch and tapioca. But if you can’t find it in Japanese supermarkets in the UK, you can use cornstarch instead. The texture is half way between jelly and mochi rice cakes. It’s very easy to make, and delicious, so have a go! 1. Dissolve the matcha in a little boiling water. 2. Put the warabi (or corn starch), sugar and matcha into a saucepan and mix well. 3. Add the water slowly, mixing with a wooden spatula so it all dissolves thoroughly. 4. Place on medium heat and keep stirring. When it begins to thicken, reduce to low heat until the paste turns transparent, keep mixing and turn off the heat. It’s important to knead the mixture well with your spatula! 5. While the mixture is still hot, use a wet spoon to scoop up bite-sized dumplings, and drop them into a bowl of ice water. 6. When the dumplings have cooled, drain off the water, arrange them in a bowl, sprinkle with soy flour (kinoko) and pour plenty of brown sugar syrup over them. Yum! You can cool your dumplings in the fridge, too, but be sure to make it for less than an hour, otherwise they lose their lovely fresh texture. I prefer to use ice water. To make brown sugar syrup. 1. Put the sugar and water in a saucepan on medium-low heat until it begins to bubble. 2. Reduce to low heat, and heating gently scoop off any scum that appears. Once the syrup has thickened, take off the heat and cool. Everybody loves a matcha latte! It’s very easy, and to make it even healthier, of course, you can use soy milk instead of cow’s milk. Even people who don’t usually like the slight tangy taste of soy milk will love this one. Sweeten with honey to make it even better! 1. 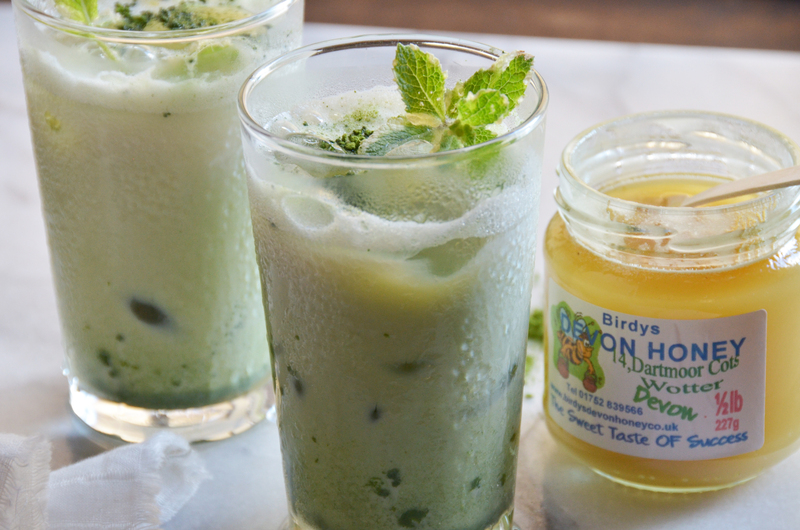 Dissolve the matcha in a little hot water, put it in a glass with ice, and honey if you like your latte sweet. 2. Whip the soy milk till it turns frothy. 3. Quickly pour the soy milk froth into your glass, and enjoy! Originally, of course, matcha was used for the Japanese tea ceremony. These days matcha is fashionable around the world in sweets – matcha chocolates, matcha sweet drinks, matcha desserts – so most people would be amazed at the rich, bitter taste of real Japanese matcha tea – not sweet at all! 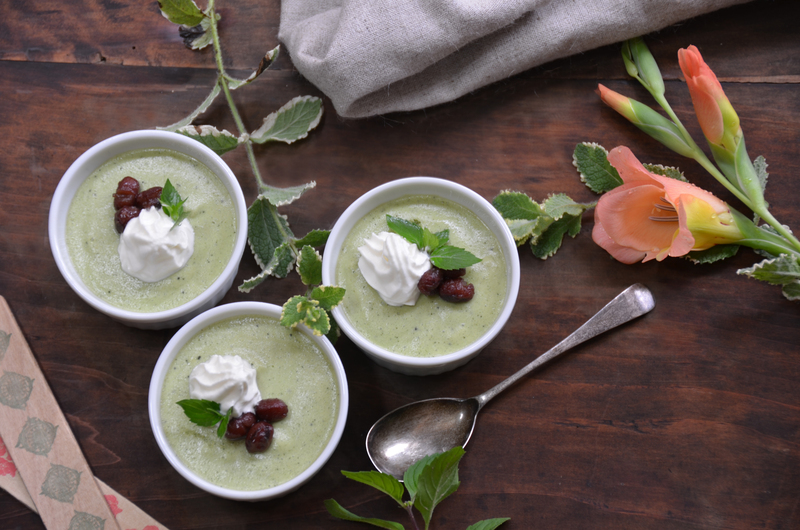 This time I’m going to tell you how to make a refreshing matcha mousse that keeps just a little bit of the original bitterness of matcha tea, with just enough sweetness to take off the edge. 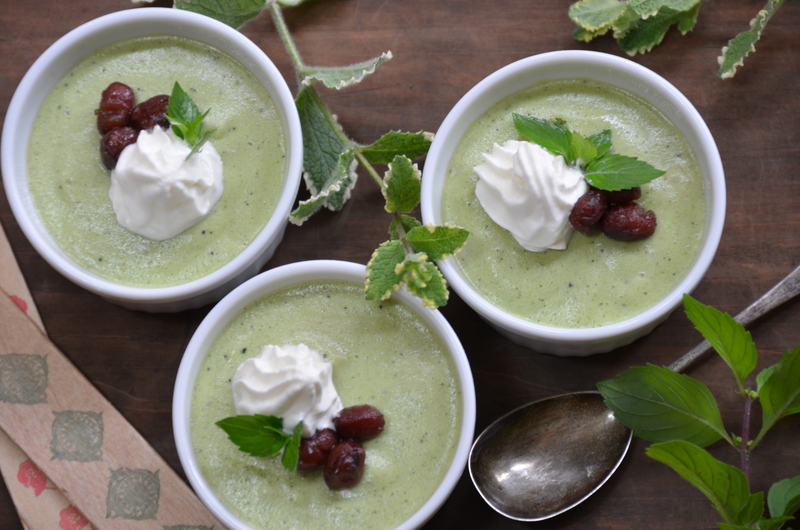 You can top it with whipped cream and mint leaves, and if you like Japanese sweet bean curd (anko), you can add a spoonful to make your mousse that bit more authentic. If you think little individual dishes aren’t enough, try making it in a large dish and serving dollops with a spoon – that way you can eat as much as you like! That is what I did the first time I made this recipe for The Miso Tree – but ! Just as I had finished, I turned my head for a millisecond, and in a flash a certain small, black dog had scoffed the lot! I made it again in individual portions, so that’s what you see here. Well, at least you can be sure this matcha mousse has been doggy-certified! 1. Dissolve the matcha in a little hot water. 2. Put 150cc milk, 60g granulated sugar, the matcha from above and the vanilla pod in a saucepan. (split the vanilla bean lengthwise down the centre, scoop out the grains inside with a spoon and add both the grains and the pod.) On a low heat, dissolve the sugar, mixing well with a whisk until just before it comes to the boil, then take off the heat and remove the vanilla pod. 3. While it is still warm (reheat to around 80 degrees if necessary) knead your mixture through a fine sieve, then add the gelatine and dissolve well. 4. Cool your mixture by sitting the pan or bowl in a bowl of ice water, and keep stirring. 5. Whip your fresh cream until it is stiff, then put in the fridge to cool. 6. In a new bowl, add the egg whites, and slowly adding 20g of granulated sugar, beat well until the egg whites are a stiff meringue mix. 7. Mix the matcha and whipped cream well with a whisk. 8. With a soft spatula, fold the beaten egg whites into your matcha cream mixture gently until they are well mixed, spoon into individual bowls and leave in the fridge for 2 to 3 hours to cool. 9. Decorate with whipped cream, mint leaves, or whatever you fancy, and enjoy! Wow! I didn’t know homemade tea was decreasing in Japan!